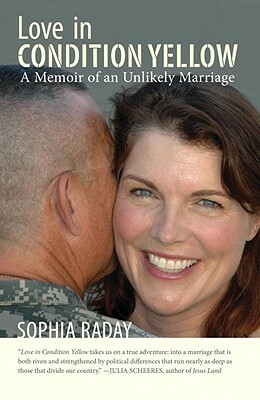 Sophia Raday is the author of Love In Condition Yellow: A Memoir of an Unlikely Marriage (Beacon Press, 2009). She lives in Berkeley, California with her Oakland police officer/Army Reserve colonel husband, their two children, a bipartisan dog, and assorted firearms. A founding editor of Literary Mama, Raday’s work has appeared here and in various anthologies, Stanford magazine, and the New York Times.